On Dec. 24, 2000, a skinny, dejected young Mongolian kid, near the end of his two-month stay in Japan, had seemingly failed in a bid to join sumo. Weighing just 60 kg and barely 180 cm tall Davaajargal Monkhbatyn had been unsuccessful in finding a stablemaster willing to take him in. With the top yokozuna pair at the time (Musashimaru and Akebono) tipping the scales at over 230 kg each and 192 cm and 204 cm, respectively, that was hardly surprising. 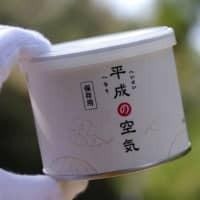 Souvenirs bought, Monkhbatyn was preparing to head home when the Miyagino stablemaster, at the urging of maegashira Kyokushuzan, decided to take a chance on the boy with good genes (his father was an Olympic medalist in wrestling). As rolls of the dice go it’s up there with the New England Patriots taking a flyer on Tom Brady with the 199th pick of the NFL draft eight months earlier. 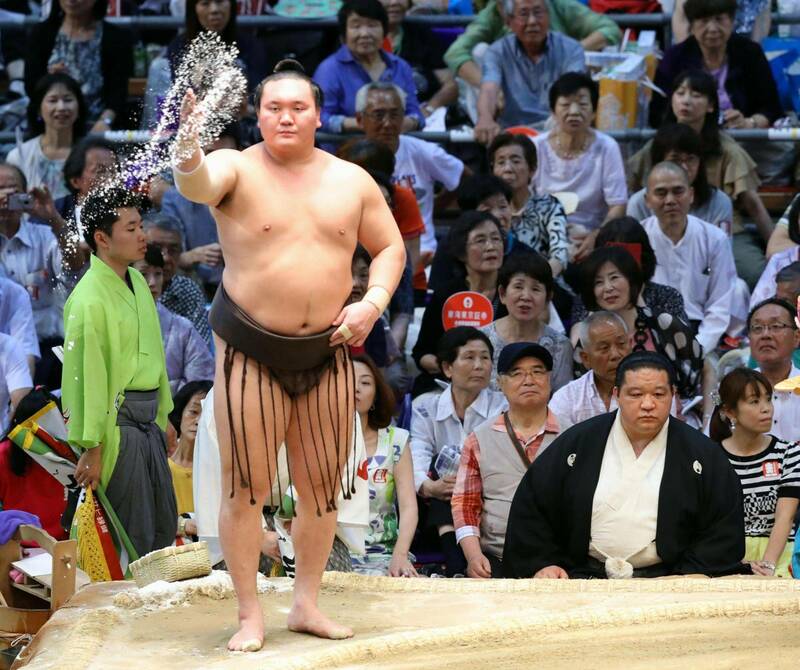 Now, 17 years later, Davaajargal Monkhbatyn, better known as Hakuho Sho, stands alone at the top of the sumo world. 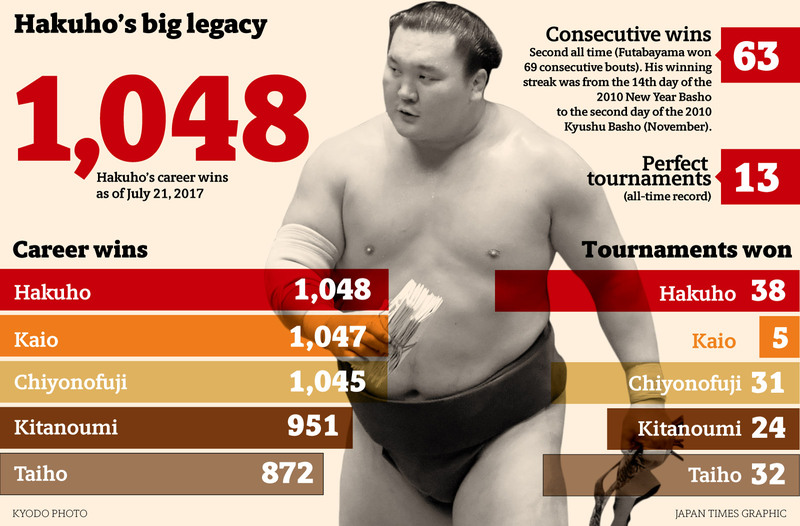 His victory on Friday over ozeki Takayasu gave him his 1,048 th career win — the most all-time. 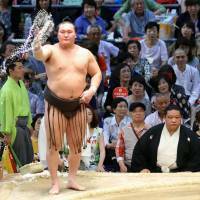 Hakuho, now 32, fittingly broke the mark with the previous holder (former ozeki Kaio) in the arena. The yokozuna now owns two of sumo’s “big three” records. His career 38 (likely soon to be 39) Emperor’s Cups is an achievement that won’t be bettered for a long time, if ever. Only Futabayama’s 69-bout win streak set in the 1930s remains. 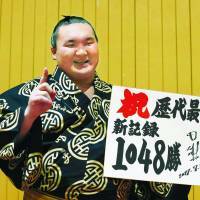 That record would be Hakuho’s as well were it not for Kisenosato stopping his streak at 63 in 2010. From March that year to January 2011 he won 88 of 90 fights. In a sport where the slightest slip or hesitation inevitably leads to defeat that’s an incredible achievement. Trying to describe the scale of Hakuho’s accomplishments to a non-sumo fan is difficult precisely because of just how dominant he has been. The aforementioned Brady (who trained with Goeido prior to the basho) is often referred to as the G.O.A.T. (greatest of all time) in his sport but he’d have to add another couple of Super Bowl titles to match up to Hakuho. On sheer numbers alone the yokozuna deserves to be mentioned in the same breath as Wayne Gretzky, Michael Phelps and Babe Ruth. His greatness lies not just in stats however. 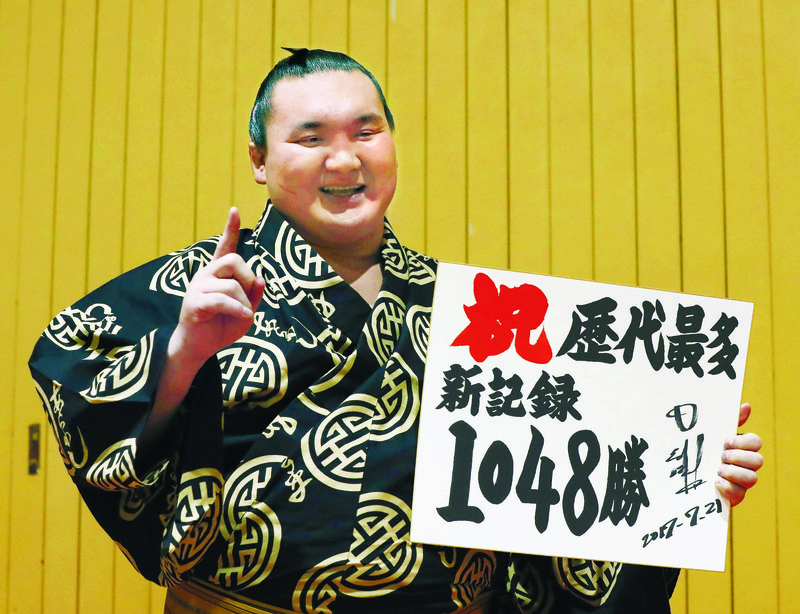 Hakuho was the (dignified) face of sumo through the scandals of 2007-2011. 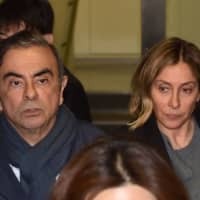 In these days when tournament tickets can’t be had for love nor money, it’s easy to forget we are just five years removed from a time when sumo was in serious trouble. Hakuho led the way out of the wilderness and has been a model grand champion throughout his career. A few late shoves here and there at the end of bouts will be forgotten within five minutes of his retirement. If illegally bringing guns bought while on tour in Hawaii back into the country or joining cults weren’t enough to take the shine of some yokozuna now considered “legendary,” nothing Hakuho did will be. It’s not just on the dohyo either. While for many Hakuho embodies the stoic image of the perfect yokozuna who violently dominates in the ring, those who know him best say he is kind, friendly and loyal. Deutschlander meets up with Hakuho whenever he is in Japan and has even been away on holiday with the yokozuna and his family. That loyalty is also evident with the way the yokozuna keeps close and looks after his Mongolian sumo seniors and juniors. 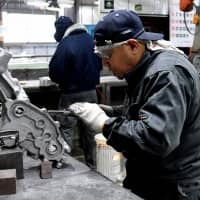 “Team Hakuho” as they call themselves meet often and includes people like Mokunami, Sensho and former stable mate Ryuo, who is now Hakuho’s driver. 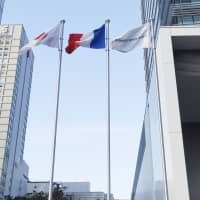 With an “informed source” (often code for the person themselves) saying that Hakuho is considering applying for Japanese citizenship, it would seem that sumo’s longest-tenured yokozuna might be thinking of hanging up his mawashi. Hakuho has given differing answers to the question of retirement over the years. 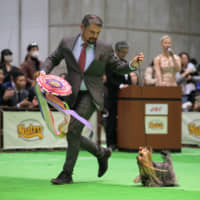 At one stage he said he wanted to be active until the 2020 Tokyo Olympics and follow in the footsteps of Akebono in performing a ring-entering ceremony there. 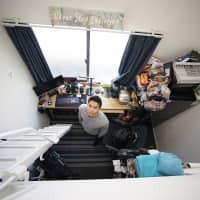 After he broke Taiho’s mark of 32 titles in January 2015, it took the intervention of his wife to prevent him from stepping away. The promotion of Kisenosato and a new generation of feisty rikishi seems to have given him added motivation but as he said in a pre-tournament interview his main rivals at this stage are the records. He overcame another one of those rivals on Friday and really the question of how long he will continue doesn’t really matter. What does matter is the fact that for now, we can enjoy watching the greatest rikishi of all time do what he does best.